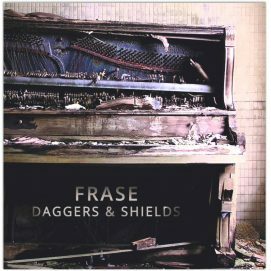 The first full length solo album by FRASE is finally here. Listening links are below, enjoy! 1. Show Me Love (Robin S. – 1992) 2. 100% Pure Love (Crystal Waters- 1994) 3. Broken Bones (Love Inc. -1997) Produced, Performed and Mixed by FRASE. Mastered by Shawn Stephenson . Cover art by Caleb Cowie. 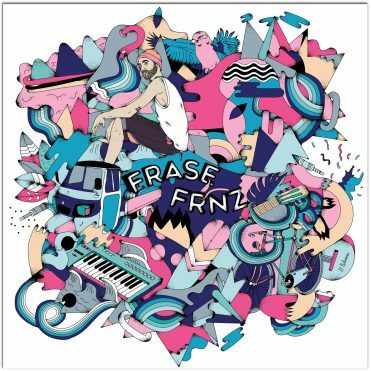 OFFICIALLY RELEASED OCT 20TH, 2017 with support from Convoy Music Group, FRNZ is the first full length solo album by FRASE! Featuring Producers and Artists from around the world including Sickflip, Atamone, Dead Horse Beats, Leonard P, CKRONO, Mongoose, Moontricks, & Fawna. Album Mixed and Mastered by Borza Ghomeshi. Album Art by 13Pulsions. © Genison Publishing & Movement Music 2017. Check out the Stereofox Music Blog Review of the track “The Weight ft. Sickflip” Stream FRNZ via Soundcloud below, or check it out on Spotify! Released September 2015, Daggers & Shields is a hybrid album that is a mix of Hip-Hop, Future Soul & Electro Dub. With powerful lyrics and highly danceable basslines it is certainly an album worthy of getting the party started. Written and performed by FRASE. Produced & Mixed by CAde Anderson. Recorded at Dub FX’s studio in Olinda, Australia. Mastered by Stardelta Uk. © Genison Publishing. Sign up to the FRASE e-mail newsletter to head about upcoming tour dates and new music releases!